Fast conversion with NVIDIA CUDA/ AMD GPU acceleration technology. Professional Blu-ray/DVD to any video solution. Customize Blu-ray/DVD with built-in video editor. Create 2D Blu-ray/DVD to 3D movies with high audio and video quality. Full disc copy with original BD/DVD structure. 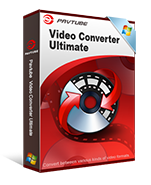 Convert/Rip/Transcode BD/DVD/Video to virtually any video/audio format. Create playable DVD disc/folder /ISO from different file types. Create DVD movies with NTSC or PAL video standard. Convert MTS/M2TS/M2T/TS/AVCHD to MKV/MP4/MOV/MP4, etc. Output video formats supported by NLE programs such as FCP, iMovie, etc. Convert MXF footage from Canon/Sony/Panasonic camcorders to proper. Support Apple ProRes/DVCPRO/HDV/Avid DNxHD/AIC output. Import/preserve/mix multi-track MXF in MKV/MP4/MOV formats. Convert HD footages from Sony, Canon, Nikon, Panasonic, JVC, etc. Convert any video and audio for multiple playback devices. Simple wizard-style user interface, powerful DVD editing, authoring , burning tool is ready for you. The smartest and easy-to-use DRM media converter. Wonderful MXF multi audio track/channel preserver, mixer and converter. Much more than a converter – Convert, edit, enhance, organize, capture, and watch any HD Videos and Movies. 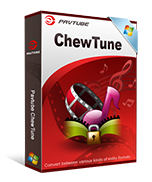 Everyone dream DVD playback, ripping, copy, conversion software. The most powerful Blu-ray backup, ripping, conversion tool ever in the world. An perfect tool to convert MTS/M2TS to any format, and watch video on any devices. Best tool for you to edit and convert FLV or F4V to other formats. One video converter program that supports multiple video formats for playing, editing, uploading. Wonderful tool to play DVD at anywhere, edit DVD at will, copy DVD anytime. MXF multi audio track/channel preserver, mixer and converter in one program.